The curved display handset goes on sale in Singapore on December 8 and in Hong Kong starting December 13. 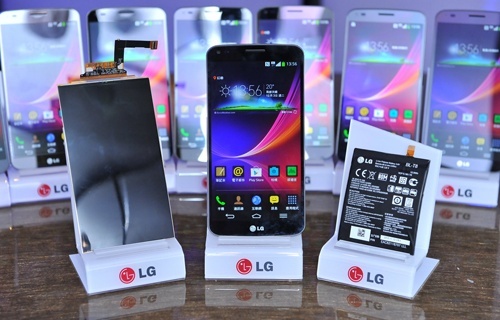 After a period of exclusivity for the South Korean market, the LG G Flex is finally reaching out and becomes available on the global market starting with Singapore and Hong Kong. According to LG's press release, "Key markets in Asia will also announce the availability of this innovative device before the end of the year, soon to be followed by other regions." so Europe and the United States will probably get the device before the end of Q1 2014. Sporting a rich set of high-end features, the LG G Flex is notorious for its self-healing back cover and is also the first smartphone to incorporate this technology. This handset also packs the world's first curved battery for smartphones with a generous capacity of 3,500 mAh. On the other hand, the curved 6-inch Real RGB P-OLED display, specifically developed for the G Flex, is the largest of its kind. The LG G Flex can be pre-ordered by customers in Singapore starting December 8, while Hong Kong will get the device about a week later, beginning on December 13. The handset is expected to hit all major carriers and electronics retailers but details on pricing are still unknown at this time. We will get back to this subject as soon as information on pricing and available data plans becomes available.